Mastalife is the life of Matt and Krystal and we are the authors of this brand new blog. Welcome us to the blog world! Don’t be shy! I guess the first post should be about Matt and I and what we are doing here. Well we are a married couple of almost 2 years but we have been together for 8 years. Yup – it took us a loooong time to finally tie the knot! (that’s the hubby’s fault) Perhaps I’ll do a post on it. Anyway, we are here to share our life experiences and memories past. I lived a pretty quiet, normal life before I met Matt and his crazy family. 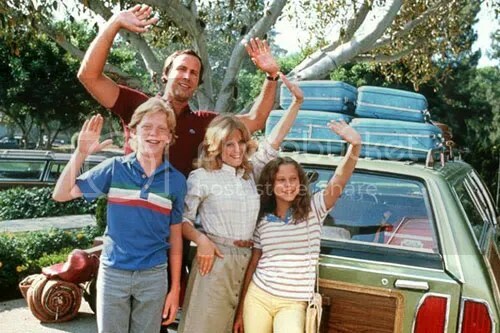 We refer to ourselves as the Griswolds (you know, the family from National Lampoon’s Vacation movies) and there is a reason for it! If there is bad luck – we find it, or maybe it finds us. There is almost always a story to tell and as a warning, they are not always PG stories either! No worries, if you thought you had a strange life we are now here to help you realize that someone else may have it more strange than you. I’m sure others may have it even more strange than we, but some of our “stories” are too F’d up to not share. Some we wouldn’t believe if we didn’t live it ourselves. As a family we get through it all with a little bit of fun and laughter (and sometimes a scar or two). Feel free to share on Facebook and let everyone know about our great new blog! Leave a comment and tell us about your strange life!